Since its founding in 1979, Nickelodeon has developed many good-for-you programs, aimed at spurring kids' education and development. SpongeBob is not one of those shows. But it's the most funny, surreal, inventive example of the explosion in creative kids' (and adult) entertainment that Nick, Cartoon Network and their ilk made possible. SpongeBob SquarePants is an Emmy-nominated American animated television series and media franchise. It is one of Nickelodeon's Nicktoons and is currently the most watched show on Nickelodeon. SpongeBob is now broadcast across the world. 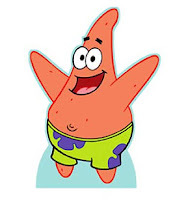 It was created by artist, animator, and former marine biologist, Stephan Hillenburg, and is produced through his production company, United Plankton Pictures, Inc.
SpongeBob is one in a long line of cartoons that is designed to appeal to adults as well as children. This has a lot to do with the absurd way underwater life and situations are represented, and with the situations, references, and words used, which younger viewers might not understand. The show is set deep in the Pacific Ocean in a city called Bikini Bottom. The inhabitants of the city include SpongeBob SquarePants, a square yellow sea sponge who lives in a pineapple; SpongeBob's pet snail, Gary, who happens to meow like a cat; Squidward Tentacles, a grumpy neighbor who lives in a Moai (an Easter Island head); SpongeBob's best friend Patrick, who lives under a rock; Mr. Krabs, SpongeBob's boss and owner of the Krusty Krab; Plankton, owner of the Krusty Krab's rival restaurant, the Chum Bucket; and Sandy Cheeks, a sea-dome-dwelling squirrel. Jellyfish buzz and sting like bees, worms bark like dogs, scallops act like birds, and SpongeBob talks on a "shell phone" and eats "sea-nut butter." Under sea puns bubble up throughout the program, even as life underwater seems very familiar to life above. 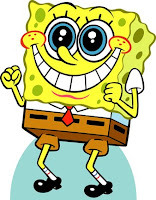 SpongeBob gives us funny mood and many smiling faces. He may not has a spine, or much of a brain, but he's all heart. If you are a fun of SpongeBob SquarePants you may also visit its fun club on http://spongebob.net/.